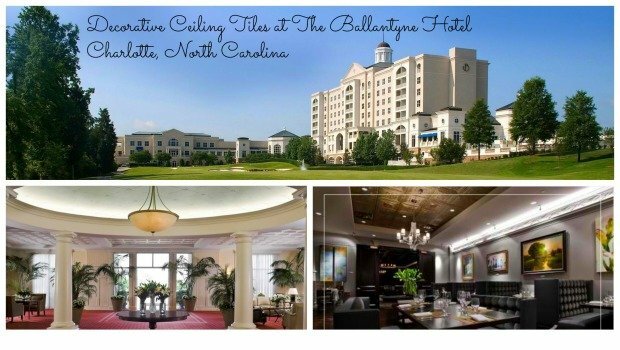 We just returned from a business conference held at The Ballantyne Hotel in Charlotte, North Carolina. The ShareASale Think Tank meeting is hands down the most valuable meeting we attend all year. ShareASale organizes it so that bloggers and performance marketers, like us, finally have an opportunity to get to know the merchants and products we promote. Although one of our favorite merchants, Milan, from Decorative Ceiling Tiles was not able to attend this year, I did get the chance to have dinner with Kellie from CafePress and Rick from The Buckeye Store. They couldn’t help but laugh out loud at me, and with me, when suddenly, I glanced up, squealed in delight, whipped out my cell phone and started snapping pictures. 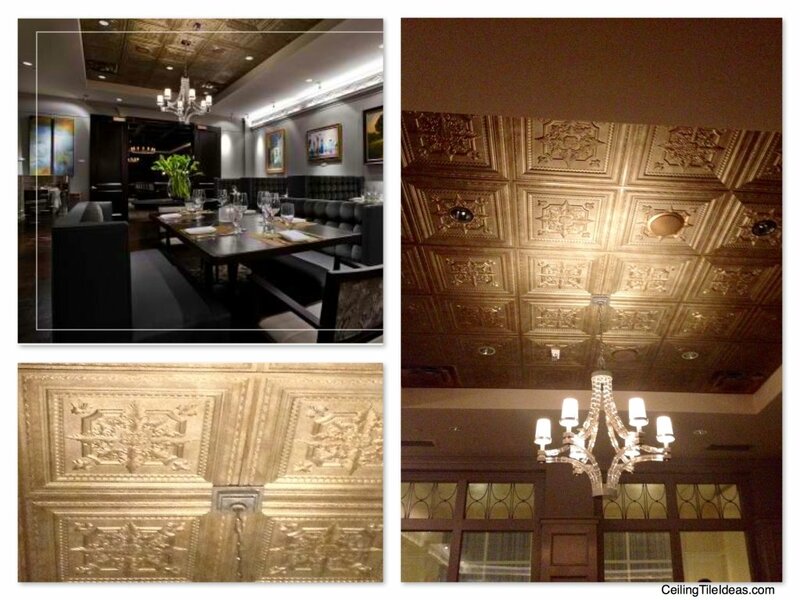 Yes, there they were – Decorative Ceiling Tiles at The Ballantyne Hotel Gallery Restaurant! 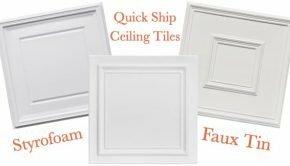 And as always, the use of tin or faux tin tiles (truthfully, when ceiling tiles are bronze, even I cannot tell for certain whether they are tin tiles or faux tin tiles without getting up close and touching them. 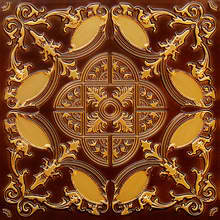 Hint: if this is the case, save money and buy the faux tin tiles!) dramatically changed the restaurant dining room’s look from fine to fabulous, instantly and affordably. 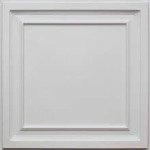 Here are the faux tin and aluminum tiles that most closely replicate the look achieved in The Gallery Restaurant at The Ballantyne Hotel – our favorite is the always classic Elizabethan Shield available in numerous colors in both tin and faux tin. Now for the hallways. 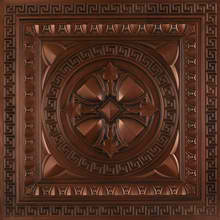 Yes, for some reason the Ballantyne chose to use decorative ceiling tiles in the hallways and some of the other public spaces. 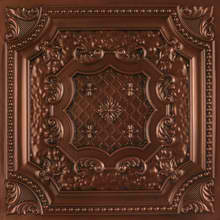 I will will say, they do add an elegance that is missing with traditional bland drop in ceiling tiles. 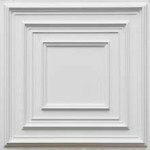 May we be so presumptuous to suggest that they consider adding the same tiles they use in the hallway to their meeting rooms. 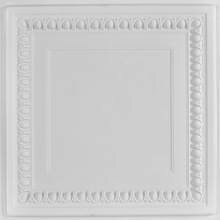 Here are a few of our favorite classic white decorative ceiling tiles! 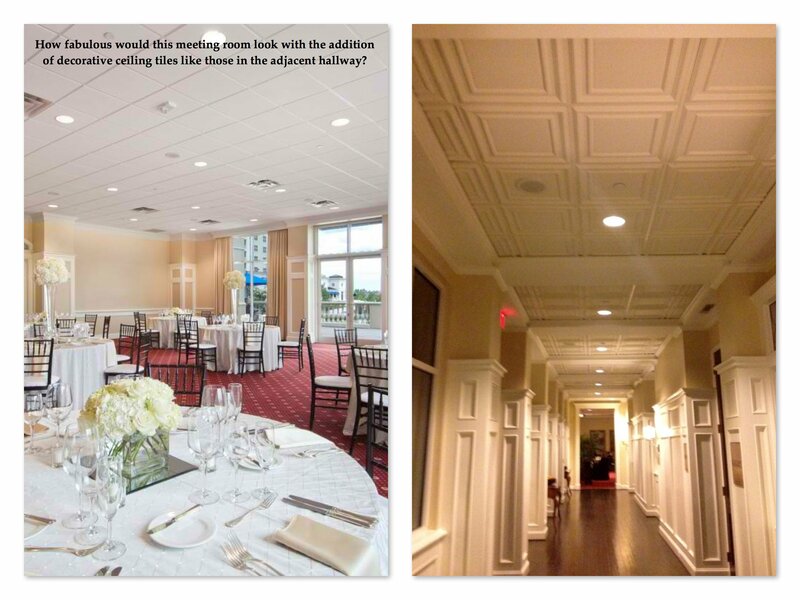 Summary: Decorative ceiling tiles at The Ballantyne Hotel dramatically changed the dining room's look from fine to fabulous, instantly and affordably.